The year is already off to a flying start, and it’s important that you don’t get left behind when it comes to technology. Stay up to date with the latest products that are suitable for business users and students alike with our Back to Business buying guide. Having the right gear at home and in your office is essential if you want to stay productive, and now is the time to consider new technology, as well as upgrades to old technology. With the help of our sponsors, we’ve assembled some must-have products that can come in handy in the office or study, as well as on the road. You may need the latest all-in-one printer for digitising all of your paperwork or producing receipts; maybe you need a new laptop that also functions as a tablet so that you can give clear presentations to clients; perhaps you need a cheap mobile broadband account to stay connected while you travel; or maybe you just need a storage solution that can be easily managed locally or through the Cloud. 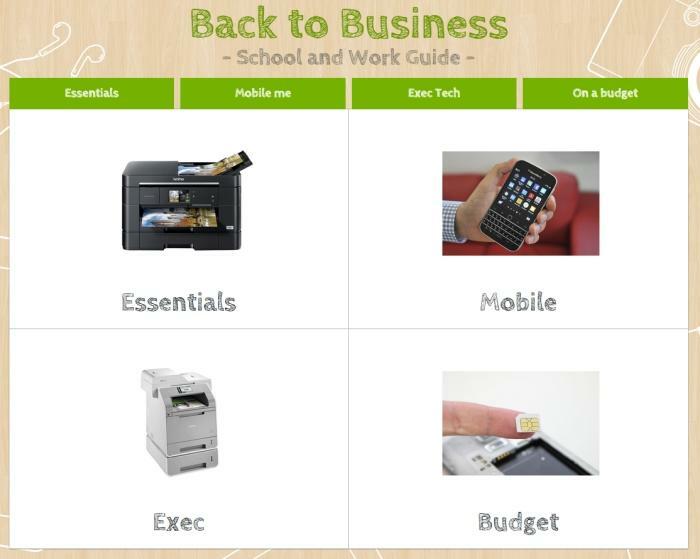 Whatever your goal, our Back to Business guide will help you figure out what you need to stay on top of your workload. Click the image below to visit the various product categories and see what’s on offer.